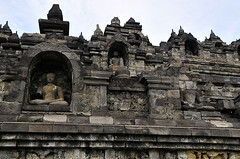 With 2.5 million visitors a year and poor tourist management procedures in place, it looks like Borobudur is crumbling faster under the weight of tourist visits than being the sacred spot it was built to be. What does the ongoing debate over the hobbit mean for palaeoanthropology and the study of man’s ancestor’s as a whole? William Moore sums up to ongoing debate and directions future research might take. 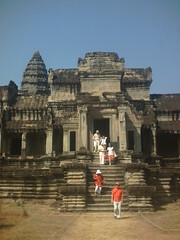 Stories about Angkor’s collapse makes it sound like there was one event that caused a civilisation to fall; I rather think there’s usually a confluence of factors. In Angkor, we can now add drought to the list which includes deforestation, breakdown of the water management system and attacks from neighbouring Siam. 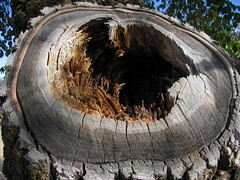 The conclusion of drought comes from a dendrochronology analysis, or the dating by tree rings, which is in itself a surprising technique because tree-ring dating is more reliable in temeperate climates where the seasonal changes produce more visible tree rings. I believe this may be first, or at the very least one of the few, instance where dendrochronology has been used in Southeast Asia (corrections, of course, are very welcome).